You can celebrate the arrival of 2012 by watching Happy New Year, Charlie Brown together with She's a Good Skate, Charlie Brown streaming over the Internet from either hulu.com or ABC.com. It's the last Peanuts holiday specials of the season: Happy New Year, Charlie Brown, followed by slightly shortened version of She's a Good Skate, Charlie Brown will be broadcast Thursday, December 29, 2011 from 8 - 9 PM (Eastern/Pacific) on ABC. Happiness is... Peanuts: Friends Forever, the third DVD in Warner Home Video's "Happiness is... Peanuts" series of DVDs, is now available as of December 27, 2011. Like the previous "Happiness is... Peanuts" DVD releases, the Friends Forever DVD contains one prime-time Peanuts TV special and one episode of the Saturday morning cartoon show, The Charlie Brown and Snoopy Show. "Kite-Eating Tree" - Charlie Brown goes to Lucy's psychiatry booth for advice on fighting the kite-eating tree. "Sally" - Snoopy pretends to be the World War I Flying Ace and steals important enemy papers - that is, Sally's report for school. "Camp" - Charlie Brown gets sent home from camp for being a trouble-maker. "Lucy Loves Schroeder" - Lucy bugs Schroeder at the piano, including taking the piano and putting it in the washer and dryer. "Scared Snoopy" - Snoopy refuses to pay his psychiatry bill after consulting Lucy about noises he's been hearing at night. The Charlie Brown and Snoopy Show: Lucy Loves Schroeder has never been released on DVD in the United States before. Unfortunately, the prime-time special is 1967's You're in Love, Charlie Brown, which has already been released by Warner Home Video on DVD... twice. It already appears on the Be My Valentine, Charlie Brown Deluxe Edition DVD and the Peanuts 1960's Collection DVDs box set. So purchasers should be aware that they may well already own one of the two shows on this DVD, and should judge accordingly whether the new DVD is worth purchasing. The DVD contains no bonus features, has a total running time of 47 minutes, and has a suggested retail price of $14.97. In case you missed it the first time (or just want to enjoy it again), I Want a Dog for Christmas, Charlie Brown will be broadcast again on Thursday, December 22, 2011 from 9 - 10 PM (Eastern/Pacific) on ABC. Mariah's new album does include a cover version of Vince Guaraldi's song "Christmas Time is Here" (although the track is titled "Charlie Brown Christmas"), but somehow Snoopy ended up in this video instead...! 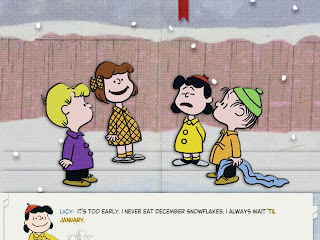 The complete, unedited A Charlie Brown Christmas airs Thursday December 15, 2011, from 8-9 PM on ABC (Eastern/Pacific). It will be accompanied by Charlie Brown's Christmas Tales and a Prep & Landing short. I Want a Dog for Christmas, Charlie Brown is now available to watch streaming over the Internet from either hulu.com or ABC.com. For the past five years, Nashville-based jazz combo The Ornaments have performed holiday concerts featuring their take on Vince Guaraldi's distinctive soundtrack from the A Charlie Brown Christmas TV special. 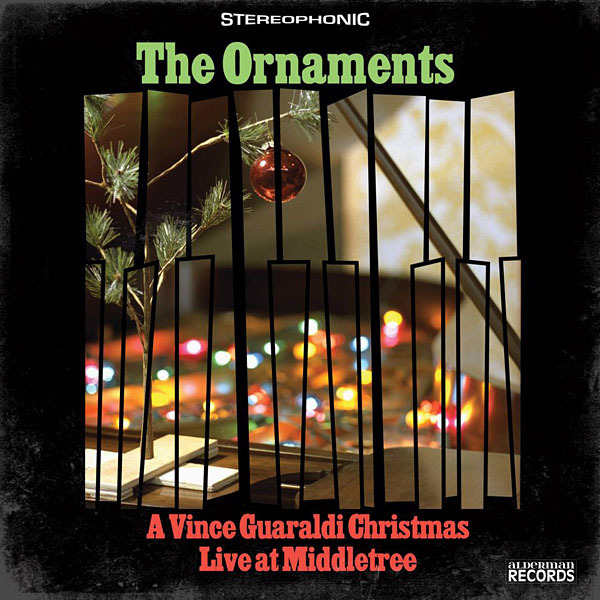 This year, in addition to their continuing concerts, they've released an album titled A Vince Guaraldi Christmas, Live at the Middletree, featuring nine tracks of their interpretations of the classic holiday tunes. 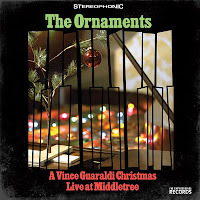 A Vince Guaraldi Christmas, Live at the Middletree is available on CD from CDBaby or as a download from iTunes. For more information about the album and The Ornaments, visit The Ornaments' Facebook page or read this article from ArtNow Nashville. We here at FiveCentsPlease.org haven't heard the album yet (although we do plan to check it out), but we wanted to let you know about it before the holiday season ended. ABC will broadcast I Want a Dog for Christmas, Charlie Brown on Monday, December 12, 2011 from 8 - 9 PM (Eastern/Pacific). If that broadcast time isn't convenient, the special will air again on December 22. You can now watch the complete, unedited A Charlie Brown Christmas together with Charlie Brown's Christmas Tales streaming over the Internet from either hulu.com or ABC.com . Loud Crow Interactive has released a free "director's cut" update for their popular A Charlie Brown Christmas interactive digital storybook app for the iPad, iPhone, and iPod touch. The update adds 4 new scenes from the classic TV special that weren't included in the original release of the app, including the gang trying to catch snowflakes on their tongues and Sally's Christmas list. You can see more screenshots of the new scenes on Loud Crow's Facebook page. To get the "director's cut," download the newest update of the app from the App Store (the update is free if you've already purchased the app), run the app, and click the "Visit Store" button inside the book cover to get the free in-app update. The app update also offers new ornament theme packs that you can purchase to add more variety when decorating the Christmas tree inside the app, and various bugfixes. Currently the update and director's cut is only available for the iPad and iPhone version of the apps. Loud Crow also announced a "12 days of A Charlie Brown Christmas" promotion, which is "an in-app scavenger hunt for your chance to win an iPad 2 loaded with Loud Crow apps." Starting December 13, you can search the app for a special ornament each day for your chance to win. For more details, visit the Loud Crow Interactive website or Facebook page. The A Charlie Brown Christmas interactive storybook app costs $6.99 and can be purchased from the Apple App Store . For more information about the app, see our previous blog post or Loud Crow Interactive's website.